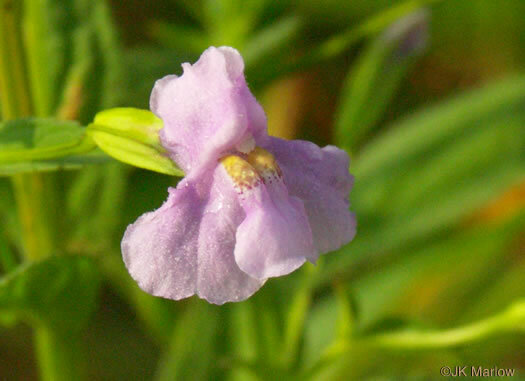 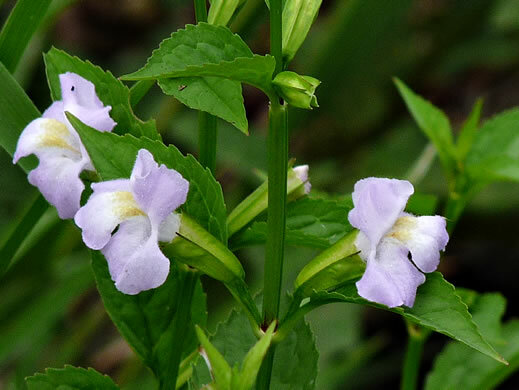 Your search found 6 image(s) of Monkey-flowers. 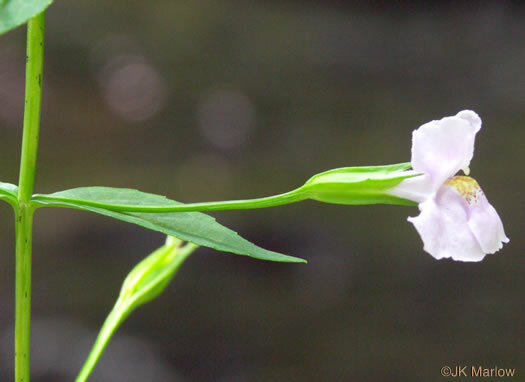 Leaves stalkless, and the flower stalk is longer than the calyx, per Newcomb's Wildflower Guide. 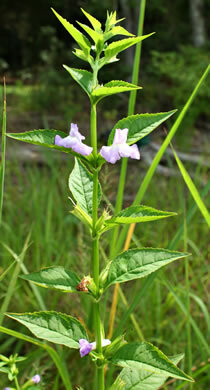 Leaves similar to M. ringens but distinctly petiolate and to 5cm wide (vs. 3), per Vascular Flora of the Carolinas. 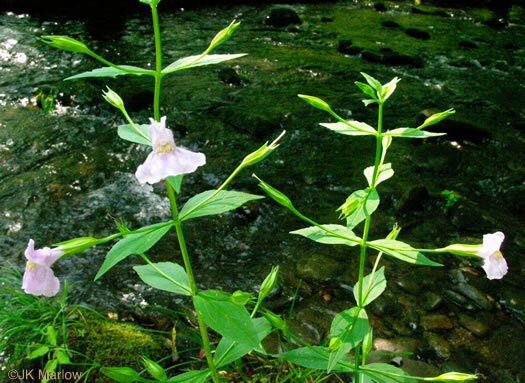 The stem is narrowly winged, & flowers are exceeded by the petiolate leaves, per Wildflowers of the Southern Mountains.